TEAM Software, a 30 year old software company specializing in workforce management, is facing a growing landscape of competitors. They needed help building the foundation for a next-generation product while transitioning to an agile design and development process. Security and cleaning service companies oversee hundreds of staff across multiple worksites. Scheduling manager's daily lives were painful, with long hours and tedious tasks. We set out to design the best scheduling software in the marketplace that would transform the way people worked. "What is the MVP that will deliver the most value to our primary users?" As a team of two designers, we divided the work by mobile and desktop experiences while maintaining close collaboration. I rapidly explored a wide variety of ideas for the mobile app with data models and sketches; recording our assumptions along the way. Scheduling managers are overwhelmed with competing tasks, opting for analog methods over their existing arduous digital tools. 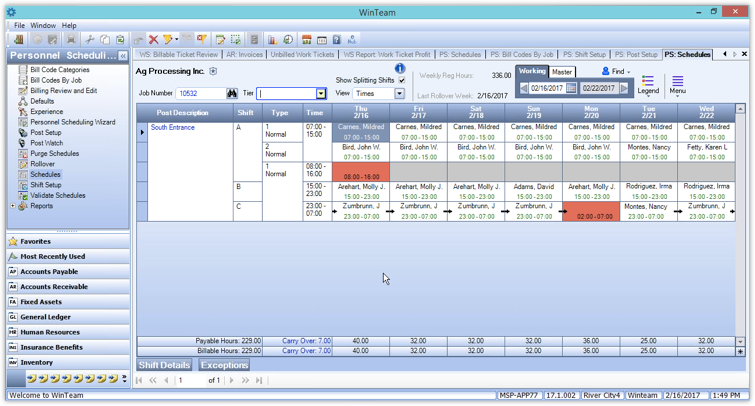 Our new scheduling and time management solution put users at ease and allowed them to focus on key workflows. Scheduling managers were often working in the field. 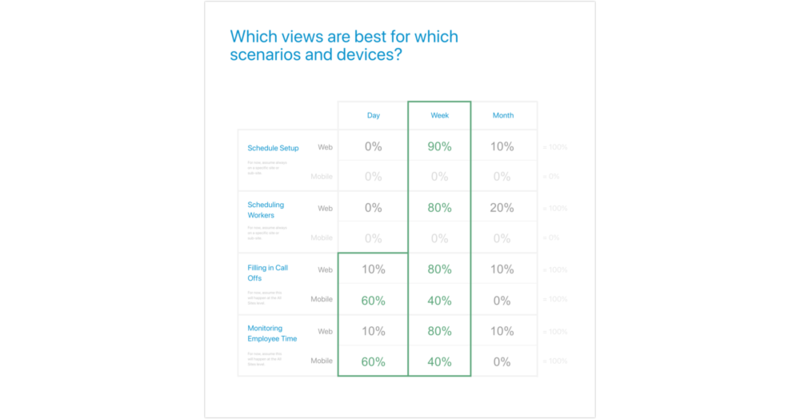 We designed for key mobile scenarios like task completion and lookup. Because their workday was often very glum, we created moments of interactive delight throughout the experience. Rosie the robot helped them celebrate their day-to-day successes, and paved the way for future AI features with automated scheduling.